If you are an established business owner or an entrepreneur just starting out, it is important for you to be aware of the need to develop a Business Creditor Protection strategy. Unfortunately, most business owners, directors or officers of companies do not realize that their personal assets are at risk for creditor claims in the event that something goes wrong with their business or company. In fact, a study has confirmed that three-out-of-four Canadian small business owners have NOT taken the adequate steps to protect their personal assets! 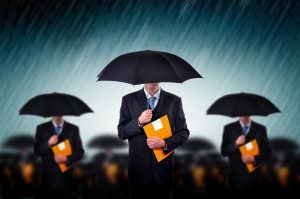 As well, other professionals such as Accountants, Lawyers, and Doctors could benefit from Creditor Protection plans since they are faced with the reality of malpractice litigation. Any debts for which the business owner, officer or director has given a personal guarantee. Any statutory debts such as wages and vacation pay. Any source deduction owed to the Canada Revenue Agency. Goods and Services Tax and or Provincial Sales Tax. Because the above products issued by insurance companies are regulated under the Insurance Act, they have the potential to protect personal assets from creditors in case of personal or professional liability, or a business failure. Investments are made in good faith and the investor has not tried to use the segregated fund as a shelter while facing financial distress. death his/her creditors cannot go after the beneficiary. In general the law protects the beneficiary’s interest from creditors of the policy holder, but not from the beneficiary’s own creditors, who can seize the proceeds at the moment they are paid out to the beneficiary. While Creditor Protection remains available in many instances, it is important to be aware of the limitations that exist to its application. Each individual situation should be addressing in detail any rules pertaining to the designations within the contracts and Tax issues. Health Risk always recommends that your Accountant play a role in the establishment of appropriate insurance programs in order to determine the proper tax implications for your Company or Business. For additional information on strategies for protecting business assets from creditors or tips that can help you manage your risk, please contact Health Risk. We will be happy to inform you as to the most appropriate Creditor Protection insurance vehicles available for your particular situation.